Isastegi Sagardo Naturala – Sidreria Isastegi Sagardotegia (Tolosa, Spain) | Justintoxicated. Visual: (cellared for 1 year). Plastic wrapped top, real cork. Pours clear pale yellow with no head, large bubbles along the glass wall, bubbles sporadically surfacing. Large sediment settled in the bottle. 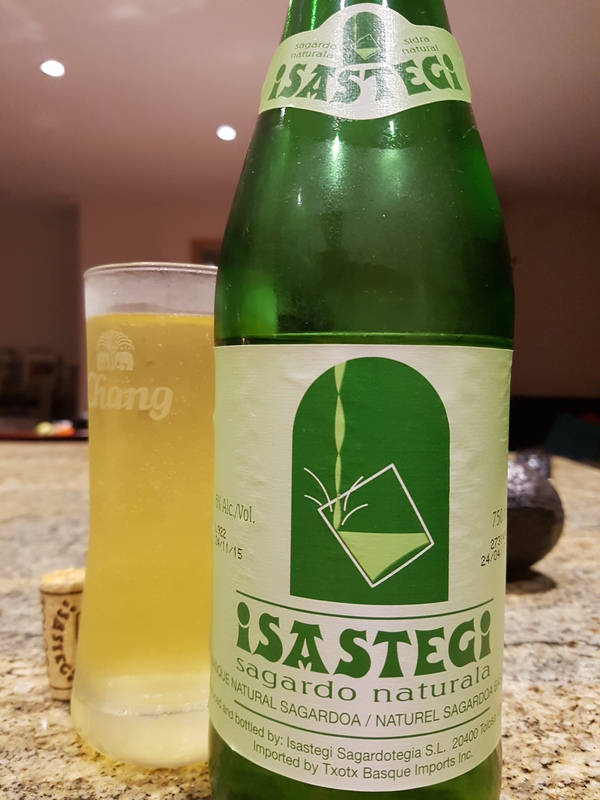 Summary: Another traditional cider from Spain, the first Sidra Bere which I reviewed here [B]. This one is too aggressive pukey sour and is lacking in firm crispness in the entry. Too much vinegar and not enough apple coming through.